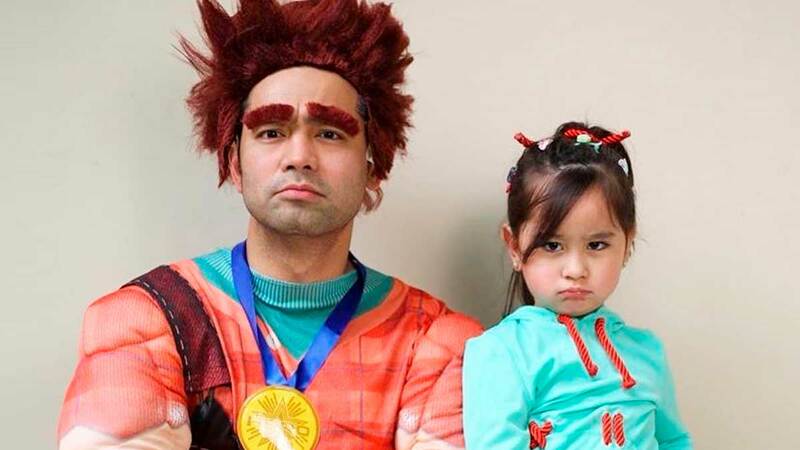 ICYDK, Scarlet Snow and Hayden dressed up as Vanellope and Ralph from Wreck-It Ralph! We love their sea captain aesthetic here, too! Of course, they had to wear green and red for the holidays! These Bang Pineda denim jackets are way too cute! Scarlet's really her dad's mini-me, don't you think?